Bright dusty ruby color. 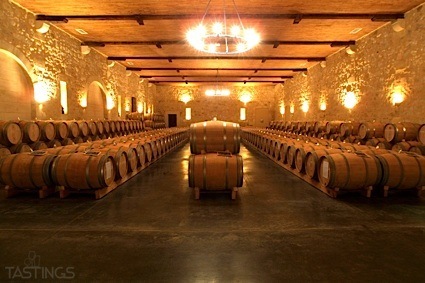 Fruity, earthy aromas of stable floor, cranberry, and mushroom with a velvety, bright, dryish light-to-medium body and a smooth, easy semisweet chocolate, cola, vanilla-almond nougat, and stewed plums finish with earthy tannins and a suggestion of oak flavor. An earthy and fruity Pinot Noir that will thrive at the table. Bottom Line: An earthy and fruity Pinot Noir that will thrive at the table. 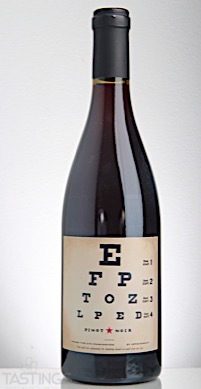 Eye Chart NV Pinot Noir, California rating was calculated by tastings.com to be 84 points out of 100 on 8/30/2017. Please note that MSRP may have changed since the date of our review.